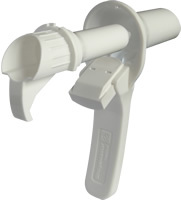 Our Cyclopes- Self Illuminating Proctoscope was launched at the beginning of April 2010; this is a unique design with its own internal light source to provide a shadow-free environment during examinations. In the past few months we have had a lot of interest in this product with the first UK order to the Harley Street Clinic in London. For more product information, please view the Cyclopes page or download our technical datasheet. This entry was posted on Friday, July 2nd, 2010 and is filed under News, Products.